Matthew McConaughey's Gold Is Based In Reno...But Is That Accurate? 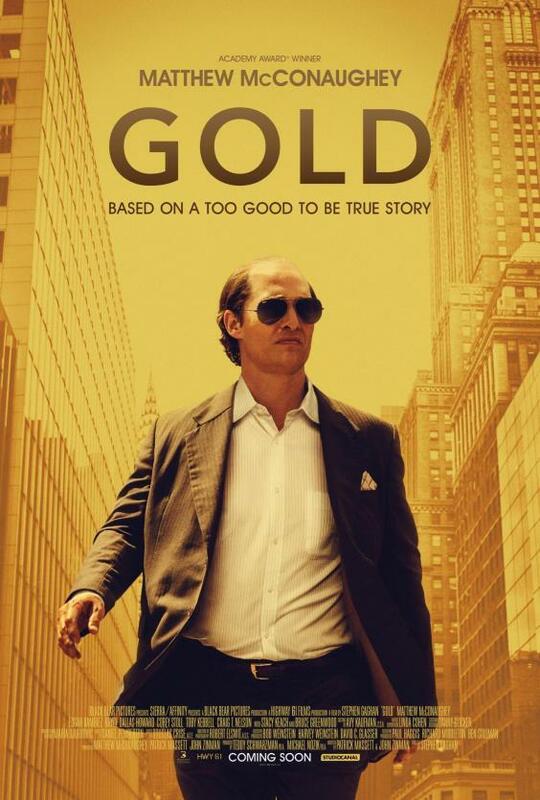 Matthew McConaughey's Gold is a film based in 1980’s Reno. But did Kenny Wells actually exist? Did he find the largest gold strike of the 20th century and is there such thing as a Prospector of the Year award? Reno Youth Radio’s Wyatt Daane explores these questions. Kenny Wells ventured into Indonesia prospecting for gold and discovered the largest gold mine of the 20th Century. Does this movie have anything to do with Reno or even Nevada? “The movie Gold comes with this title that says inspired by true events," explains Reno film reviewer Robin Holabird (who provides weekly reviews for KUNR). I sat down for coffee at Beno’s with Holabird and we talked about the sobering truth that Gold is only loosely based on an actual gold find. “Or maybe it says based on true events, in any case, 'inspired' and 'based' don't really mean that they have to be everything that truly happened. There was a case very similar to it. And in order to avoid lawsuits, they say inspired by real events, and also audiences like 'stories inspired by real events.'" We talked about Kenny Wells and his character being extremely motivated and sincere in his conquest for gold. “Reno locals who go and see the movie Gold and go, 'Huh, Kenny,' and go, 'Yah, I’ve worked in geology, I don’t know Kenny and what’s this prospector of the year thing? Does Reno have a Prospector of the Year award?' No, not at all. All of that took place with another man in Canada. Was this Kenny Wells, as Matthew McConaughey interprets him, the same? That part, who knows. For that you have to read different accounts of the Bri-X." She told me that Reno was only chosen as a location to film Gold and that there is no actual relation between the gold find and Reno, or Nevada for that matter. I had a quick conversation with Dana Bennett who is the President of the Nevada Mining Association and she explained some actual mining history in Nevada. The movie still means a lot to me as a Reno movie goer and I believe it will to you. Although Gold received a 6.6 on IMDB and a 41% on Rotten Tomatoes, I believe that Reno movie goers will find a certain connection to this movie because it takes place in Reno, and Reno is a special place.